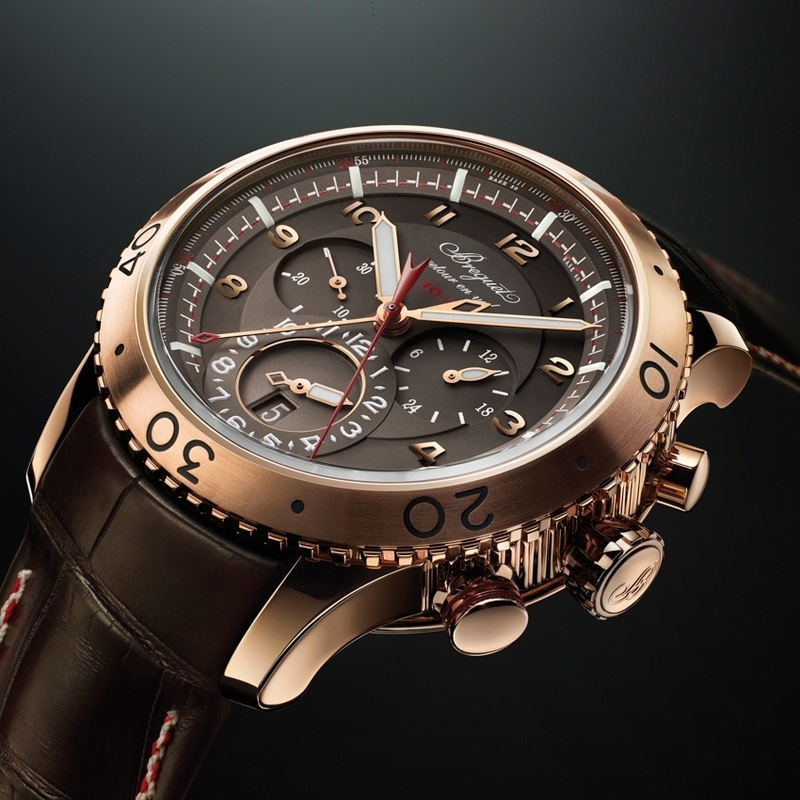 The iconic Breguet Type XXII this year extends to a new iteration in rose gold, with a movement vibrating at an increased frequency of 10 Hz (72,000 vibrations/hour) thanks to a silicon escapement with flat balance spring. This high frequency delivers outstanding precision and regulating performance for a chronograph whose seconds hand sweeps the dial in 30 seconds. The red and white markers on the minute scale, on the inner bezel ring, show whether the hand is on its first or second rotation. In addition, this exceptional timepiece incorporates a flyback function, a second time zone with 24-hour indicator, date, and small seconds making one complete revolution in half a minute.